YES! Only two weeks left until our favorite yellow henchmen return to the big screen in the new Minions movie! We first fell in love with these tiny troublemakers after the release of the first Despicable Me movie in 2010, and over the past five years, we have laughed tirelessly, watching their silly monkey Minion business play out on film. One little-known nuance of Minions was that if they appeared in daylight, they were supposed to be in costume. Since that fact was never officially announced, it hasn't been followed to the letter - but we still see many Minions appear in costumes throughout the films. In fact, this has become one of the easiest ways to distinguish some of the characters! 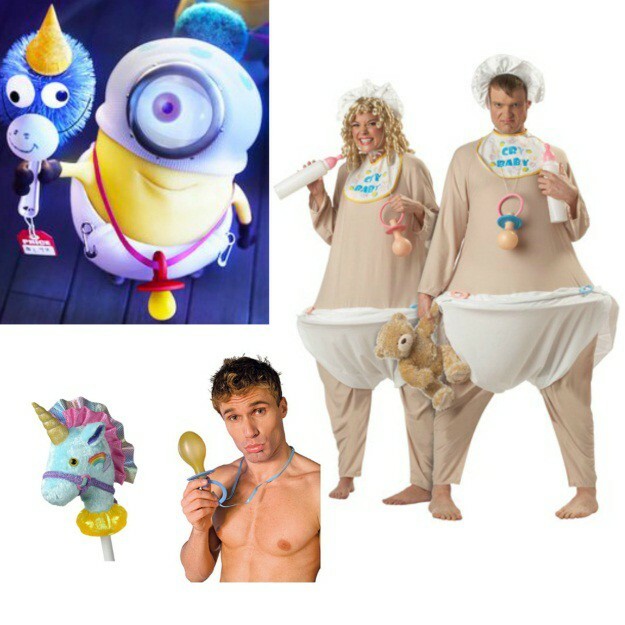 So, if you have been able to reuse your Minion costume for the last five Halloweens, but want something a little different this year, we came up with 10 costume ideas for your Minion costume. Do you want to be Kevin the golfer, Carl the fire alarm, or Stuart dressed as Lucy? Take a look and see what costumes and accessories can help you transform your same old Minion costume into something new this year! Bee-do, bee-do, bee-do. You have to admit that is fun to say. (Especially through a megaphone!) 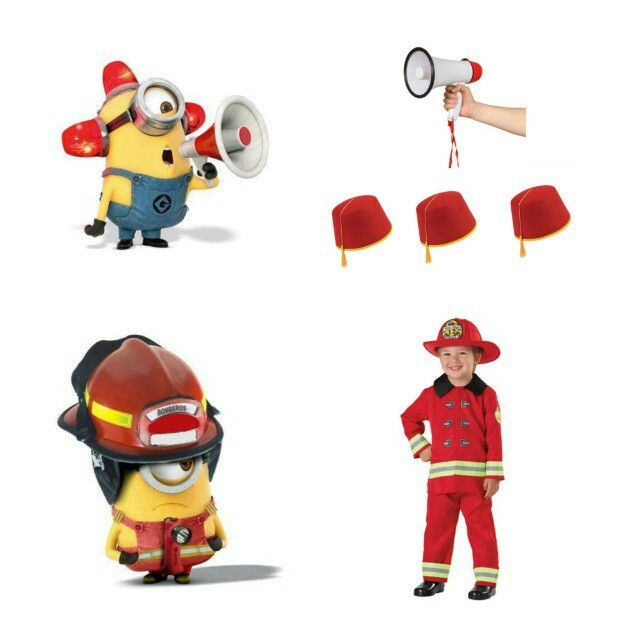 Pair your Minion costume with a firefighter costume and you will be too hot to handle. Add a little arts and crafts element to this costume by gluing the three fezzes to a headband or a hat to create the flashing, red light effect. Phil looks better than most men do in a skirt, but don’t let that hold you back! Halloween is the one time a year you can be anything you want to be and a French Maid Minion sounds like some good clean fun. Oui oui! To make this extra Minion-y, grab a pair of goggles or yellow leggings to wear with the dress. Aloha! For those of you who wish you had your toes in the sand this Halloween, a hula Minion costume might be just the ticket. After all, you have to show off that yellow beach body! For those of you who don't wish to hang out on Halloween night in only a coconut bra, a yellow tank top underneath will provide more coverage and keep you in that Minion spirit. Ahola! For those of you who have seen the movie, we don’t recommend attempting to hit a golf ball off of your friend’s mouth this Halloween. 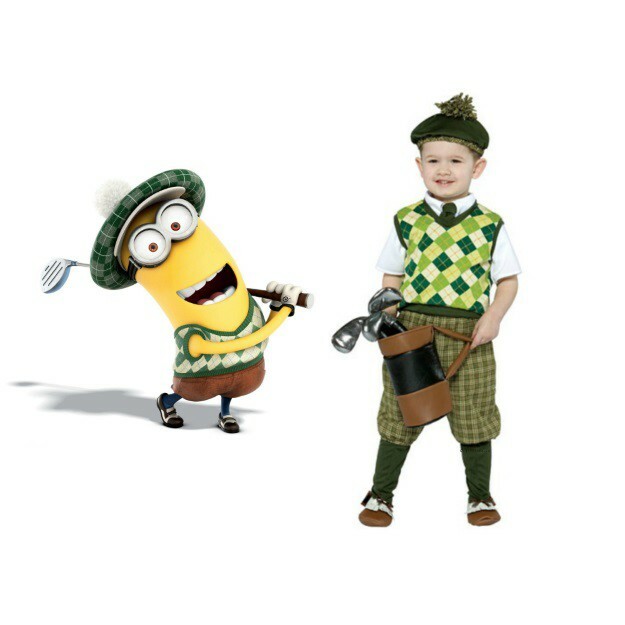 But, one thing is for certain, this golfer Minion costume is on par! Got a group of people who want to dress up, but every group costume has been done to death? Minion Village People might be the cutest thing we’ve ever seen! You’ll be the hit of the party when Y.M.C.A. plays, and crush it on the dance floor! Besides the Native American Chief, the construction worker, and the cop, you can go as a biker or cowboy! These costumes are pretty easy to assemble with a few worthy Minion accessories. Macho, macho Minion. For years, you dreaded having your dad tag along when you went trick-or-treating with your friends. He always dressed as a ghost and said he was trans-parent, but after three years it stopped being funny. Now, you can dress up like the Minion version of your father and get away with using all his corny dad jokes for a night. Have you been dying to try out a new mom haircut or some high waisted jeans? (Shoulder pads are also perfectly acceptable.) Now is your chance! 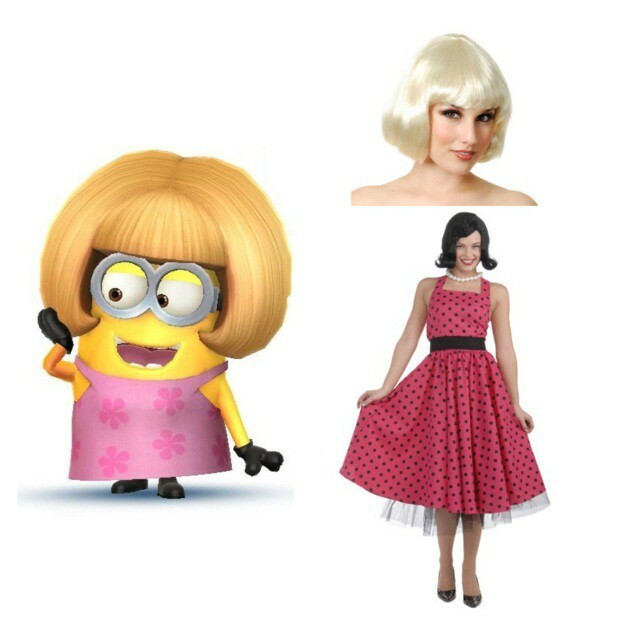 Try a cute little mom Minion costume combination for your 2015 Halloween costume. Now don't forget to tell the little guys to clean their rooms and that you might make them cookies if they do! Wearing a diaper again might not be a glorifying part of this costume, but it sure will get a few laughs from your friends. The term “big baby” will be given new meaning if you show up in a baby Minion Halloween costume. At least it’s a good excuse to down your bottle… of milk, right?! Gru was so nervous to call Lucy that he had Stuart dress just like her - and he didn't look half bad! 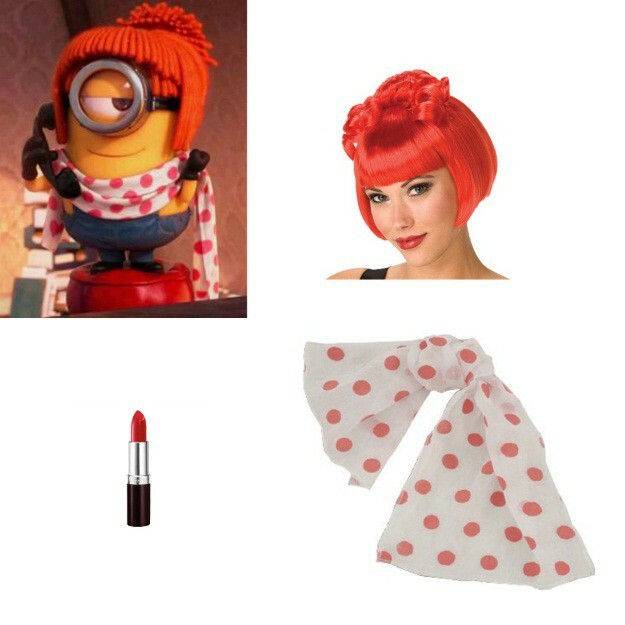 This year you can recreate the Lucy ensemble for Halloween! Bonus points if you have a tube of lipstick handy to accessorize with. Lipstick taser. Whether you’re on an Alaskan tour or celebrating Halloween in Minnesota, an Inuit Minion costume could provide a dual purpose for you this year. 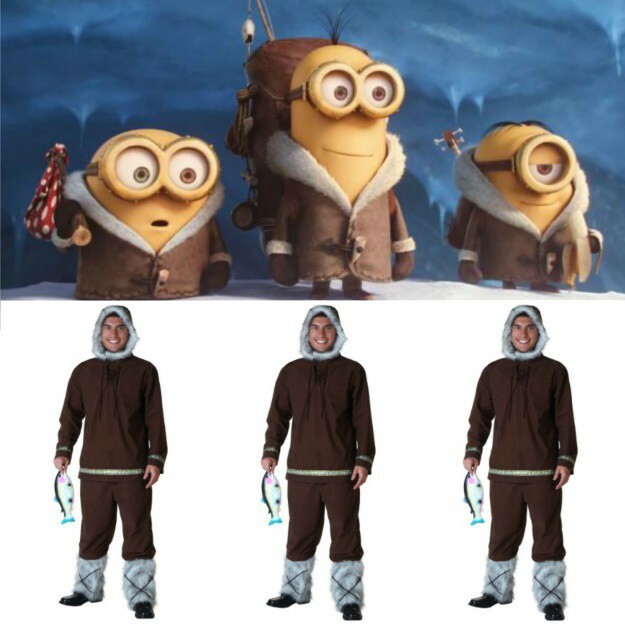 You can be just like the Minions in the new movie and stay warm all at the same time! 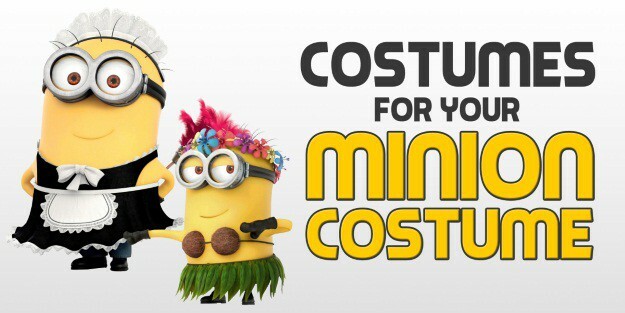 Dust off that old Minion costume and spruce it up a bit this year! 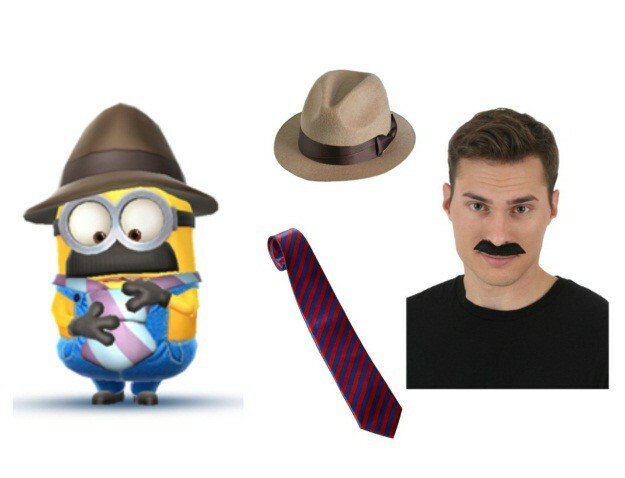 Sure, there might be tons of Minions out on Halloween night, but with any of these unique twists, you won’t have to worry about blending into the crowd. 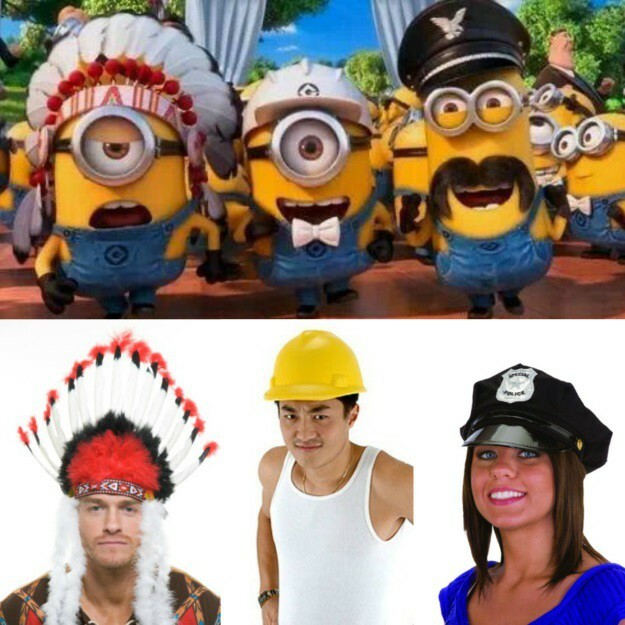 What are your favorite Minion costume ideas? Do you have your 2015 Halloween costume already picked out? Let us know in the comments below! If you still want the more traditional Minion look, you can pick up the newest Minion costume for Halloween this year. Now go cause a little trouble! Poopaye! Leigh is HalloweenCostumes.com’s Inbound Marketing Manager and a lover of all things fun and adorable, specifically Minions and puppies. (They're tied for first.) For Halloween this year, she plans to recreate Kristin Wiig's Saturday Night Live character, Dooneese. She realizes this will involve sacrificing a few dolls, but is willing to do whatever it takes to win costume contests. Is that baaaaaddddd?